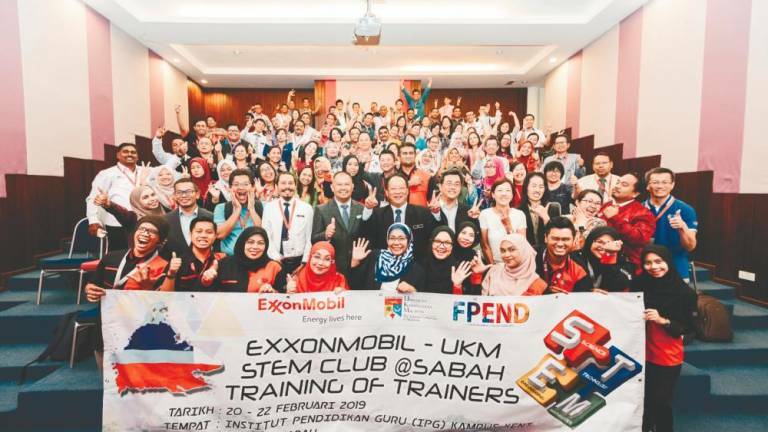 19 Mar 2019 / 11:02 H.
Participants of the ExxonMobil-UKM STEM Club @ Sabah Training of Trainers programme during the closing ceremony. Human capital development has always been a core focus at ExxonMobil. Why? Because it believes that the success of its business depends on its diverse pool of highly-qualified talent who are dedicated and uphold integrity, high-quality work and good corporate citizenship. 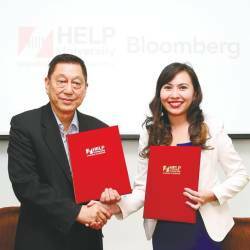 Combined with its commitment to the communities it operates in, the company highly values education and has long championed programmes and efforts to encourage and nurture the interest of Malaysia’s brightest young minds in Science, Technology, Engineering and Mathematics (STEM). 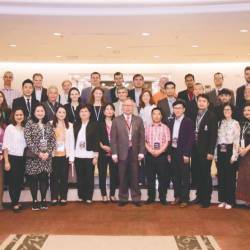 Recently, in an effort to address the declining interest in Science and Math among students, ExxonMobil Exploration and Production Malaysia Inc. (EMEPMI) collaborated with Universiti Kebangsaan Malaysia (UKM) to introduce a Training of Trainers programme. The objective behind the pilot programme - to develop a group of STEM Master Trainers via training modules developed and delivered by UKM. Thirty primary school and 32 secondary school teachers from 10 selected districts in Sabah participated. 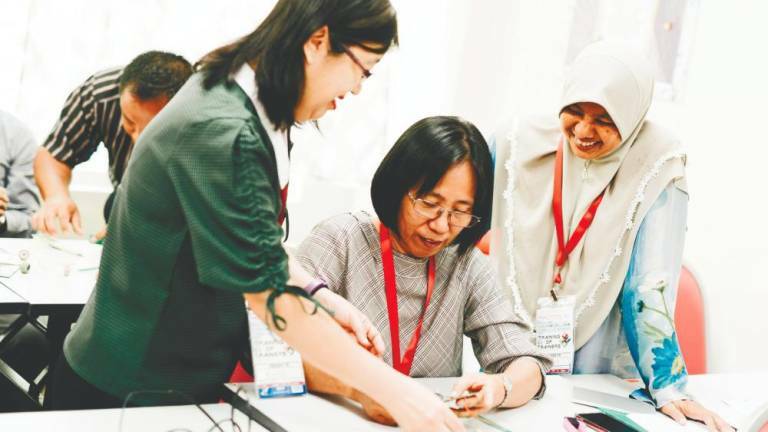 Training focused on equipping the school teachers with a STEM approach in teaching Science and Math syllabus at schools to drive students’ interest, engagement, understanding and appreciation in STEM subjects. Said EMEPMI general manager of public and government affairs, Sukiman Mohamed, “Teachers are the key driving force behind students’ academic performance and they have the potential to create motivation, interest and excitement in students to attract them to STEM. 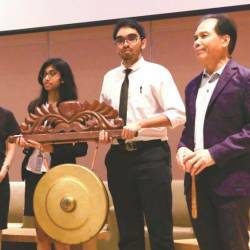 We hope this initiative will contribute towards efforts to increase the number of students in the Science stream as Malaysia looks toward achieving a STEM-driven economy in the near future”. Training will be on-going as this is just the first phase of the Training of Trainers programme. Phase two is scheduled to run from July to September this year.